Space features windows on both sides providing amazing light, 1 glass front office, 1 principal office, large glass front conference room, pantry and open layout. Ready to move in. 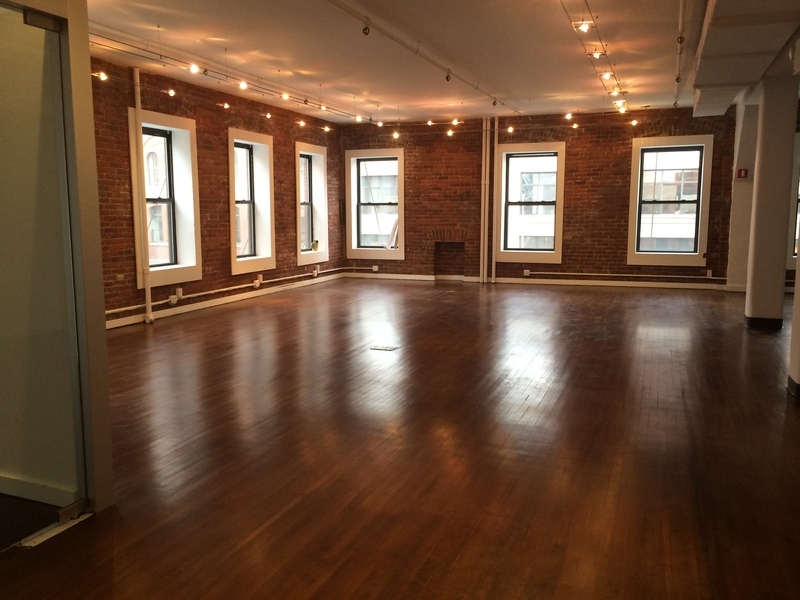 This space is perfect for a creative firm, entertainment industry, showroom, etc. Located on Washington Street and 14th Street in the center of the desirable Meatpacking District, steps from the highline, this area is home to Chelsea Market, Gansevoort Market, Gansevoort Hotel, and the Standard Hotel and much more. The Meatpacking District is a neighborhood in the New York City borough of Manhattan which runs roughly from West 14th Street south to Gansevoort Street, and from the Hudson River east to Hudson Street, although recently it is sometimes considered to have extended north to West 16th Street and east beyond Hudson Street. In June 2009, the first segment of the High Line, a former elevated freight railroad built under the aegis of Robert Moses, opened to great reviews in the District and the southern portion of Chelsea to the north as a greenway modeled after Paris' Promenade Plant�e. Thirteen months earlier, the Whitney Museum of American Art announced it would build a second, Renzo Piano-designed home on Gansevoort Street, just west of Washington Street and the southernmost entrance to the High Line.